What are hives? When people warn you of allergic reactions and scare you with the possibility of welts and swellings across your body, the threat is more real than you realize. Hives, also known by its scientific name of “Urticaria” is a skin condition that resembles an allergic reaction which is usually triggered by certain substances or even environments. What are Hives caused by? It is a fairly common skin condition, known to affect at least 20 percent of the population at least once in their lifetime. It holds a lot of mystery in how it is actually caused because it proves to be elusive. Hives begin to exhibit themselves as patches of itchy skin, which soon tend to develop into swollen welts. Reddening of the skin is a common occurrence in this case. Although the causes of hives are often obscure, there are certain triggers that dermatologists have identified which are known to make the condition worse. When told not to scratch, we may pay little heed to it, however, scratching, as well as alcohol consumption, emotional stress, and even physical exercise, can aggravate the skin condition. A unique characteristic of hives is their tendency to move around the body randomly and at a rapid pace. They also tend to change size, and all of this occurs within a matter of few hours. It is usual for a hive to last around 24 hours and no longer. If it happens to persist, then it is advisable to see a dermatologist regarding the condition, because chances are that it may prove to be something else. For the proper diagnosis of the skin condition, taking photographs of the skin condition is advisable, since hives are known to move around the skin at such a fast pace. It is easier to diagnose hives because of this one reason since there are very few other diseases which can resolve and show up again in such a short period of time. This condition occurs when blood plasma escapes small blood vessels within the skin, and this is often a response to the presence of histamine (1). Histamine is a chemical compound that gets released by the cells in our body when under the influence of an injury or allergy such as inflammatory reactions. Hives are often red and itchy. They rise up to look like smooth bumps on the skin, and it is often an allergic reaction to external influences. This is made evident from the usual swelling of the hives, since only allergic reactions that cause the release of chemicals, which are responsible for the swelling. Hives can appear pretty much anywhere on the body, where even the face or lips or tongue are not exempted. And they are more painful and irritating if and when individual hives merge together to form larger areas of hives. These go by the name of plaques. A common misdiagnosis people make of hives is to confuse it with a similar skin condition known as angioedema. This is very much like hives, but this form of swelling happens under the skin, rather than on the surface. Angiodema targets the regions around the eyes, lips, hands, and feet (2). The main issue with angioedema is that it can attack the throat and lungs, leading to difficulty in breathing. This is why it is always safer to refer to a dermatologist when suffering from these symptoms. What are Hives cured by? It is unfortunate that changes to the diet, or exercise or even watching the detergent you use way not always prevent hives. The aim of treating hives is to reduce the release or exposure to histamines in the system. The most that can be done is to suppress the symptoms and relieve them while the condition can go away on its own. The best treatment recommended by dermatologists is often in the oral form. These are known as antihistamines, that work against the effects of histamines that have been leaked from cells. However, a common side effect often reported because of antihistamines is drowsiness. Although they appear in aggravated forms on the skin and may look threatening, they are not actually contagious. They tend to resolve from the skin within weeks, given the right treatment. And although not contagious, they are vulnerable to allergic reactions. Can hives happen during pregnancy? Hives are common in pregnancy, but it is seen to occur. There is not much of a correlation between pregnancy and hives, apart from the fact that the body is often subject to hormonal changes and hence is vulnerable to allergic reactions. Hives causing itching and swelling? Get it treated! 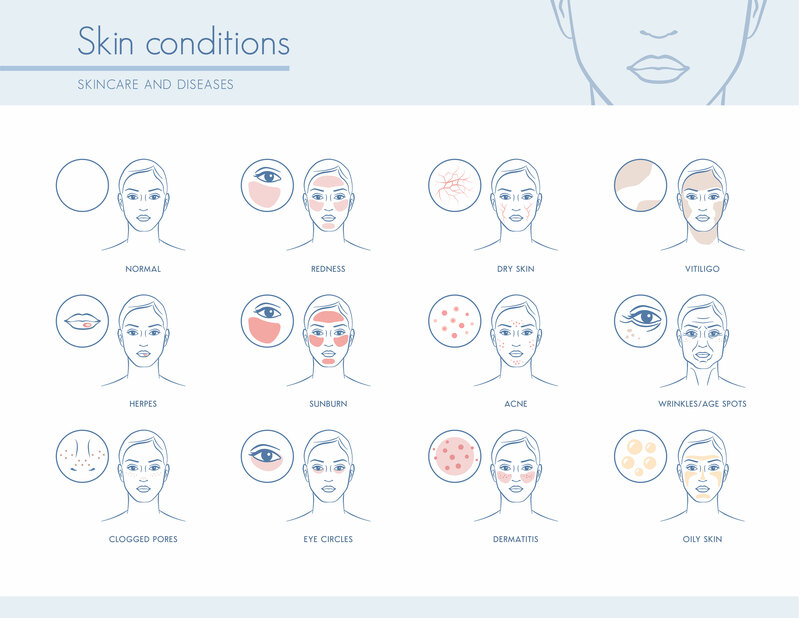 Download the CureSkin App now by clicking here to get a consultation with our dermatologist. It’s easy, fast and affordable!